SAN FRANCISCO -- Tesla Motors Inc. catered to the highest of high rollers in September, kicking off deliveries of the Model X with a top-of-the-line P90D featuring a 90-kilowatt-hour battery pack and a $132,000 price tag. Now the merely very wealthy get their turn. 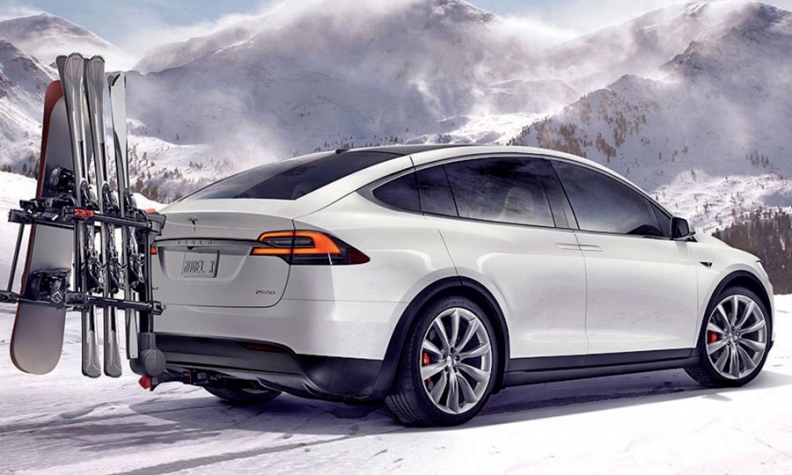 When general deliveries of the Model X begin in early 2016, Tesla will offer 90D and 70D variants, the latter of which will include a 70 kilowatt-hour battery pack and a sticker price of $80,000, plus a $1,200 shipping charge, the company said Monday. That price, which is $5,000 more than that of Tesla’s basic Model S sedan, is being closely watched by rivals such as Audi AG, which plans to take on the Model X in 2018 with a crossover based on the E-tron Quattro concept unveiled this fall. Palo Alto, Calif.-based Tesla disclosed the price as it opened online configuration for Model X customers who put down a deposit of at least $5,000 to reserve the vehicle. The company plans to finish delivering vehicles first to the hundreds of customers who put down larger deposits for the “Founders” and “Signature” series of the Model X.
Tesla said the 70D travels 220 miles on a charge and goes from 0-60 mph in 6.0 seconds, while the more expensive 90D offers a range of 257 miles and a 4.8-second dash from 0 to 60 mph. The starting price of $80,000 is for a five-seat interior. A six-seat configuration costs another $3,000 and a seven seat configuration adds $4,000. Other options include a $750 towing package, a $1,000 cold weather package, $2,500 for a premium audio system, $2,500 for an adjustable air suspension, $2,500 for Autopilot self-driving features and $4,500 for a bundle of assorted premium upgrades. With all of the boxes checked, the basic 70D tops out around $100,000. Tesla’s ordering page suggests the company will put a priority on buyers who opt for the more expensive P90D. General deliveries of that model will begin in early 2016, followed by 90D deliveries in mid-2016 and 70D deliveries later in the year.